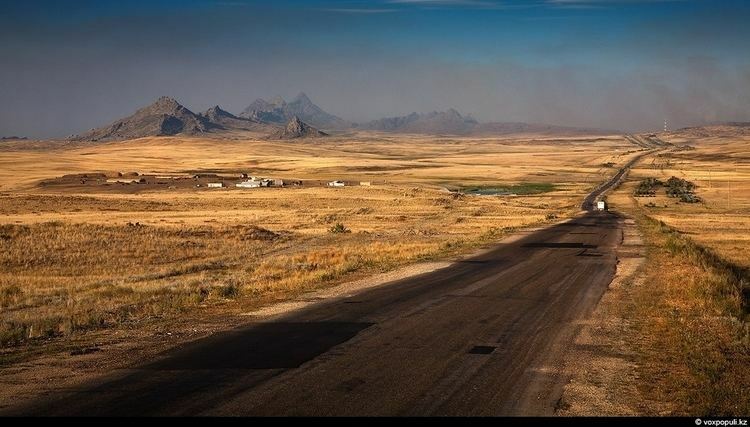 Karaganda Region (Kazakh: Қарағанды облысы, Qarağandı oblısı, قاراعاندى وبلىسى) is a region of Kazakhstan. Its capital is Karaganda. Population: 1,341,700 (2009 Census results); 1,410,218 (1999 Census results); that of the city is 459,778 (2009 Census results). The region was the site of intense coal mining during the days of the Soviet Union and also the site of several Gulag forced labor camps. Following World War II, Joseph Stalin, leader of the Soviet Union, had many ethnic Germans deported to the area. With an area of 428,000 km2, Karaganda Region is Kazakhstan's largest region. Although it doesn't touch the borders of any country, it touches nearly every other region. They are: Aktobe Region to the west; Kostanay Region to the northwest; Akmola Region to the north; Pavlodar Region to the northeast; East Kazakhstan Region to the east; Almaty Region to the southeast; Jambyl Region and South Kazakhstan Region to the south; and Kyzylorda Region to the southwest. The area is arid and flat, given to plains with occasional hills and seasonal streams. 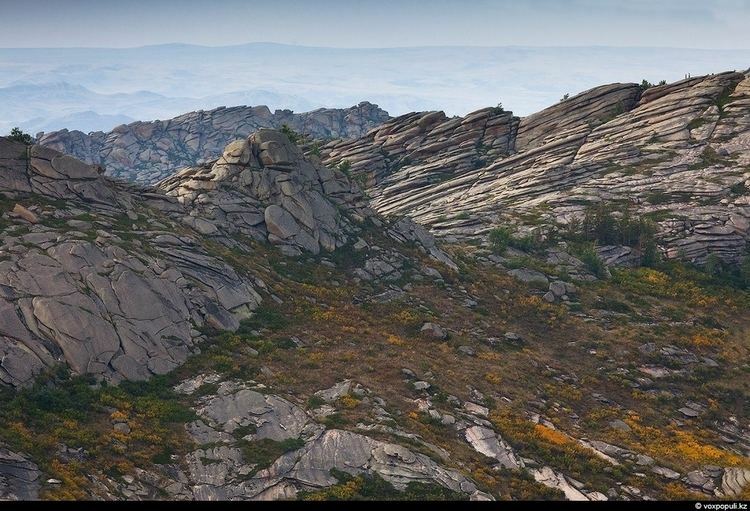 Karkaraly National Park, covering 90,300 hectares, is located in the region, as well as Kyzylarai mountain oasis, famous for its natural beauty and historical sights. The Ishim (Esil) River, a tributary of the Irtysh River, begins in Karaganda Region; the Nura River is the region's other major river. 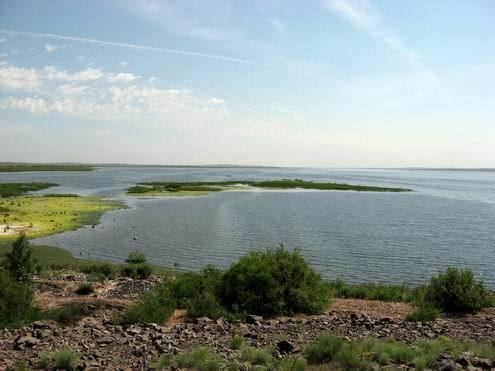 Both river are replenished with water from the Irtysh, supplied by the 451 km long Irtysh–Karaganda Canal. Lake Balkhash is located on the Southeast side. 46.9% of the population is ethnic Russian and 32.6% is ethnic Kazakh. The minorities are Ukrainian (7.2%) and German (3.1%). Zhanaarka District, the settlement of Atasu. * The following nine localities in Karaganda Region have town status: Karaganda, Balkhash, Jezkazgan, Karazhal, Priozersk, Saran, Satbayev, Shakhtinsk, and Temirtau. 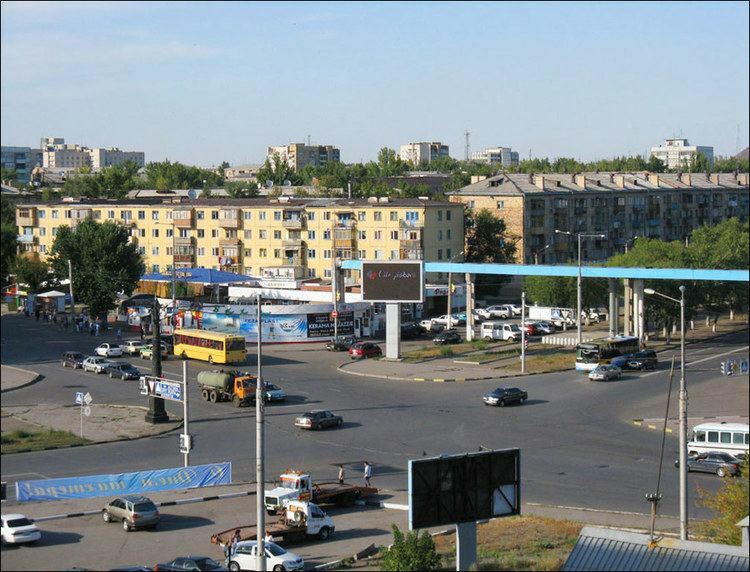 For some decades during the USSR era, the southern part of what is today Karaganda Region was a separate region, known as Jezkazgan Region, with the administrative center in Jezkazgan.